Documentation and SupportReleases Sassafras Release Notes 2016-06-07Enhancement to 'From Table' Business Process Rule type. 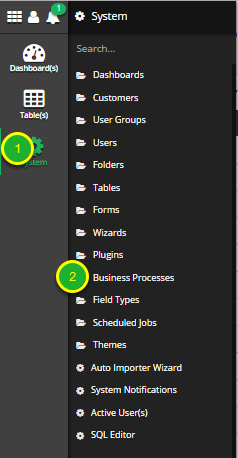 It is now easier than ever to join fields in two tables if they have the exact same Field Name. 1. 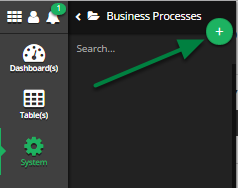 Navigate the menus to the 'Business Processes' System Tool. 2. Open the 'Add New Business Process' modal. Open the modal by clicking the ( + ) button. 3. Fill out the form with the Business Process information. Name: The name of the new Business Process. Description: An optional explanation of the Business Process. Table: The Table that the Business Process is to be run on. 4. Open the 'Add New Business Rule' modal. Click the plus button ( + ) to open the modal. 5. 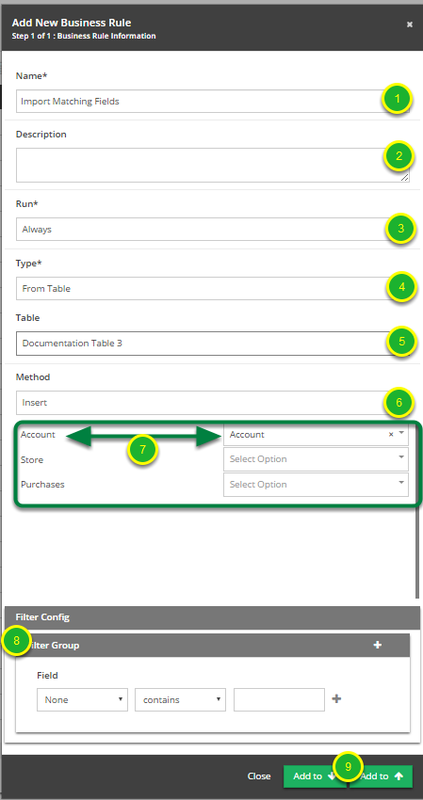 Fill out the 'Add New Business Rule' modal. Name: The name of the Business Rule. Description: A brief description of the Business Rule. Run: How this Business Rule will be run, always with the Business Process or based on certain criteria. Type: What type of Business Rule is this? For this example we set it to 'From Table'. Table: The Table that we will be pulling data from. Type: The type of pull we want to make, either an Insert or an Update. We make our associations here, Note that any matching Field Names will automatically be grouped together. Filter Config: Any additional Filtering will be done here. 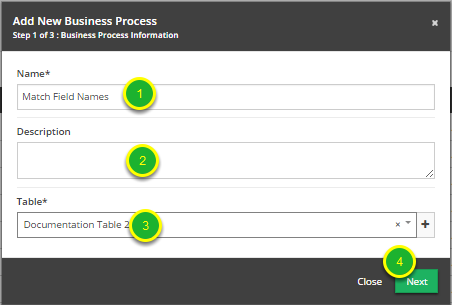 Add Buttons: When finished adding information click one of these to add the Business Rule to the Business Process. Prev: Tables can now be scheduled for backup upon creation. Next: Business Process Update Provides Added Functionality.